For those who appreciate open space, this is a super sized four bedroom property, consisting of two apartments having been converted into one, situated in Bendinat Golf. The apartment measures approximately 210 M2, with two large open plan lounges, both overlooking luscious and mature gardens and terraces. A quiet urbanisation with four communal pools in a cul de sac location, in luxurious Bendinat Golf, a short distance from the beautiful coast of Bendinat Mar, Cas Catala, Illetes and Portals Nous and Marina, one of the most picturesque coasts of South West Mallorca. A spacious four bedroom apartment in a modern construction, located on the Paseo Maritimo of Palma, Gabriel Roca, overlooking the cruise terminal and sea with a leafy outlook. 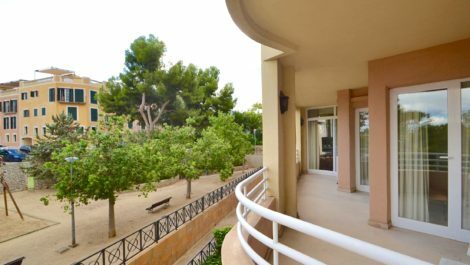 A first floor 225 M2 apartment, with an open aspect affording lots of light, with an additional 25 M2 of terraces wrapped around the lounge diner, kitchen and bedrooms, which have direct access to the terraces. A spacious dual aspect lounge diner, facing the sea and park area with trees, a tranquil outlook which is surprisingly quiet of road noise, considering the main road. The communal swimming pool is set high, overlooking the paseo with direct access the sea front, a 30 minute stroll to Santa Catalina and Palma Centre and a 5 minute walk to Porto Pi shopping centre. Villa with outstanding sea views in the tranquil and sought after location of Bellavista, Cala Blava, with direct access to the sea via a picturesque Cala. The property benefits from four double bedrooms, all with an en suite bathrooms and built in wardrobes. Split over two levels, the ground level comprises of mature gardens to the entrance with a shaded summer terrace and a swimming pool, with sea views. The grand entrance hall opens on to a large lounge and a library, with floor to ceiling windows overlooking the mediteranean sea and Palma. The master bedroom, an impressive room, with its own terrace and en suite with shower, jacuzzi bath and dressing room. A traditional six bedroom, Mallorcan countryside finca, set in 40.000 M2 of land, situated in a tranquil location near the towns of Sencelles and Benissalem, with a separate two bedroom apartment for staff or visitors quarters, stables, salt water swimming pool, fruit trees and abundant off road parking. Set in an idyllic countryside location, yet only 25 kilometres from the centre of Palma, with distant views over the church of Sencelles. A spacious property, with approximately 400 M2, comprising of six double bedrooms, five bathrooms, a spacious lounge with chimenea, dining room, kitchen breakfast room and large terraces wrapped around the property, each aspect with panoramic views. A magnificently well presented two bedroom finca set in the mountains of Esporles, in the Sierra Tramontana of Mallorca, an idilyc location with outstanding views. A very interesting property with three separate living quarters measuring 216 M2 in total, set in beautiful plot measuring 4,800 M2. A private and luxurious residence, with an outstanding communal room, housing the kitchen, dining and living quarters with panoramic views over the swimming pool, gardens and mountains. Ideal property for living and parties and events. 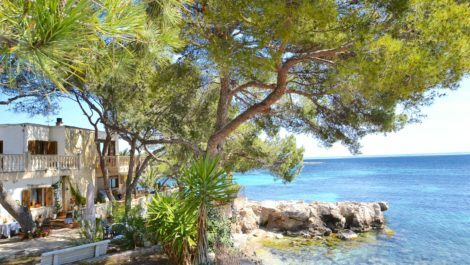 A five bedroom villa situated in an outstanding location, nestled on rocks leading directly into the sea in Son Caliu, Mallorca, close to Portals Nous and Palmanova. This is a rare opportunity to acquire a property in such a special location, a viewing is essential to appreciate the natural beauty on your doorstep. The villa has a south west facing aspect which affords the best sun all day, whilst the surrounding pine trees afford shade and privacy. Direct access to a very private beach on one side and to Son Caliu beach on the other with a sea mooring. 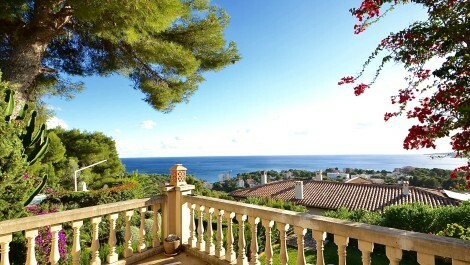 A beautiful four bedroom luxury villa offered for sale in Portals Nous, Mallorca with outstanding sea views. The property is situated in a tranquil setting, in a luxury residence in a quite street overlooking the beautiful bay of Portals, a remarkable place to live and relax, yet close to Portals village and close to Agora Portals international school. Benefits from four double bedrooms, three bathrooms, two of which are en-suites, an open plan lounge and kitchen diner, garage a storage room. Terraces overlooking the swimming pool and sea from both levels, with access to the garden. 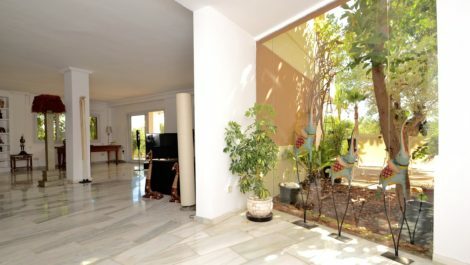 A unique opportunity to purchase a home and income listing, front line to the sea in south east Mallorca. A fantastic location with uninterrupted sea views, this listing has been run as a succesful restaurant for many years and is offered with a fully active and compliant licence. The restaurant occupies the ground level of the listing which has panoramic sea views from the dining room, with the main residential, four bedroom, listing on the first floor with staff quarters and a two bedroom apartment on the second floor with its own kitchen and entry if desired. 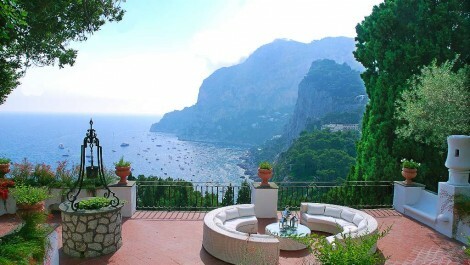 Both apartments have incredible outside terraces overlooking the sea. A beautiful and elegant finca built in 2008 in traditional Mallorquin style, with a separate annexe, set within a tranquil plot of land in Sencelles, Mallorca. The listing is set within a 15,000 M² plot of land, surrounded by countryside and fruit trees, with uninterrupted views, and comprises of two separate listings, the main house with a build size of 425 M² and four double bedrooms, plus a separate three bedroom annexe of 150 M². The main listing at present has living space on the ground and first floor levels, however, could easily be converted into a five or six bedroom home. 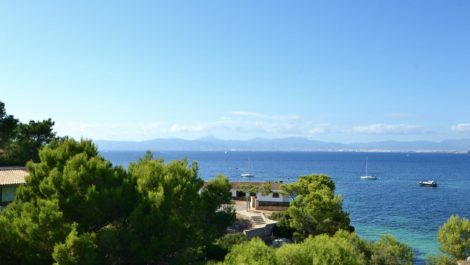 A beautiful hotel offered for sale in Mallorca, front line to the sea in a very well known and popular location close to Calvia. The hotel is in a chic destination, popular with tourists for the views and abundant restaurants offering good quality food. The listing was renovated in 2003 and is therefore in good condition throughout, with a restaurant and terrace front line to the sea. Currently 48 bedrooms, however, there is a possibility to extend the listing and increase the number of guest bedrooms. 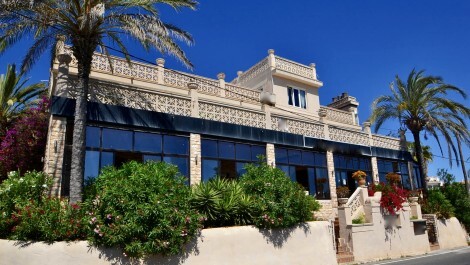 Hotel for Sale Mallorca – 25 Bedroom Country Property with Golf Course – Only 30 Mins from Palma! In an historic building in the heart of the Mallorcan countryside, yet only a short distance from Palma, sits this beautiful character listing with 25 double bedrooms, with the possibility to extend. Beautifully distributed space, with two dining halls which can be used for events, bar, heated indoor, and outdoor swimming pool, spa and gymnasium, tennis court, 9 hole golf course and beautiful lush green garden area. Two car parks. An outstanding opportunity to acquire a luxury, character, retreat hotel and spa, nestled in the mountains of rural Mallorca, within a relatively short distance from Palma. 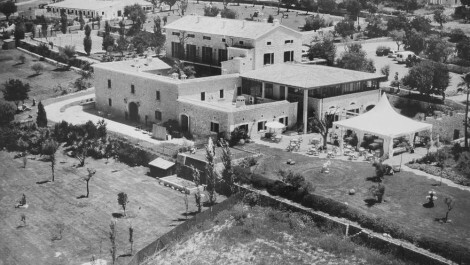 The building is exceptionally preserved with it’s original charm and Mallorcan character, and sits in a spectacular setting offering peace and tranquility, the key to a successful spa hotel and retreat. The residence benefits from 25 luxurious en suite bedrooms, with quality furnishings, decoration and design bathrooms, all with a garden or balcony. Fully equipped to offer the highest standard of service, in all aspects, from front desk, restaurant, bar, indoor and outdoor swimming pools, and a fully working spa with treatment rooms. This is truly a unique listing, which could also be utilised for corporate purposes, with accommodation for staff, training rooms and corporate events.